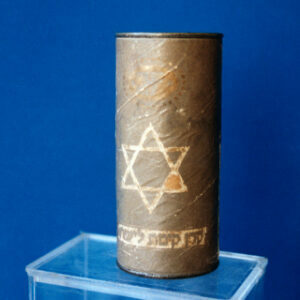 Every Jewish home has a mezuzah, Every Zionist home has a Blue Box. 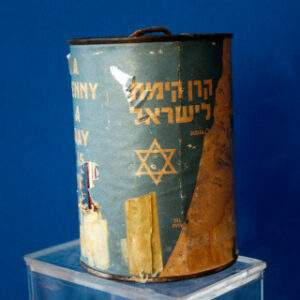 The JNF Blue Box is the world’s oldest charity box, introduced at the Fifth Zionist Congress in 1901. 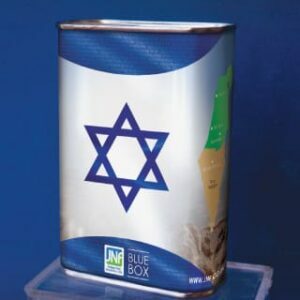 The first JNF Blue Box was the brainchild of Haim Kleinman, a bank clerk from Nadvorna, Galicia, who placed a box in his office with the words ‘national fund’ stuck on it, telling himself: ‘Every day I’ll drop in a coin and at the end of the year I’ll have 365’. From here the Blue Box was born. 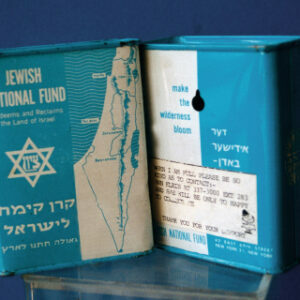 For over a century, money raised in Blue Boxes has assisted Zionist pioneers in their efforts to build the infrastructure of a modern, thriving state. 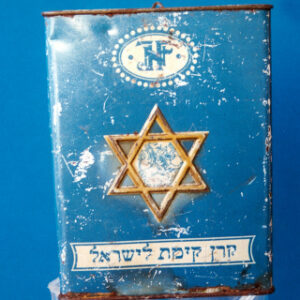 The Blue Box is both a powerful symbol of Jewish unity, and a reminder to its owners of the part every Jew can play in the Zionist effort to restore a Jewish homeland in Eretz Israel. Today, money collected in JNF UK Blue Boxes funds our vital work in the Negev, where, together with our partners, we are working to build Israel’s future. Read more about our life-changing projects. 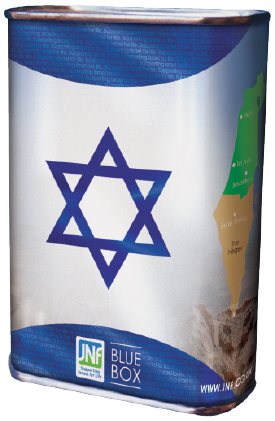 All funds go to JNF projects in the Negev. If you would like your donations to go to a specific project please contact us. 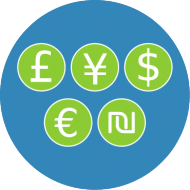 Learn more about JNF projects here. Fill in the form below and we will be in touch to arrange collection of your Box. 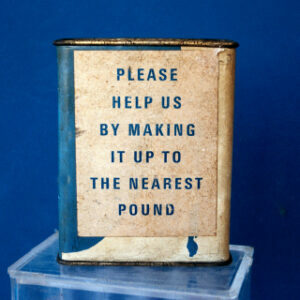 Please mark the back of the cheque with your name and the words Blue Box. Do you want to have fun and help build Israel’s future? 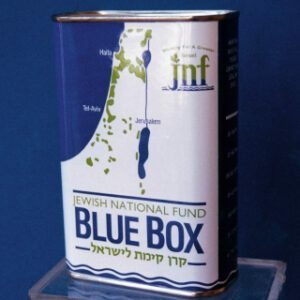 JNF UK is always looking for volunteers to collect our iconic Blue Boxes. You can do whenever time permits, in the area in which you live. If you are interested fill out the form below. 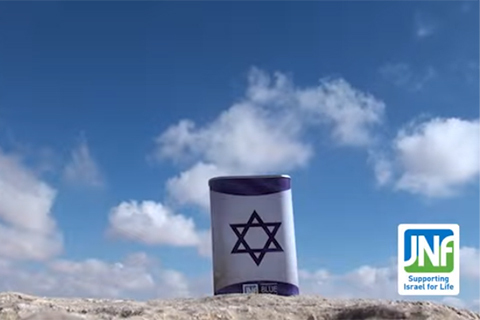 From the UK to the Negev, see the JNF UK Blue Box in action. Check out our exclusive video and see how your generosity is transforming the lives of people in the Negev. JNF UK supports an array of life-changing projects throughout the Negev, Israel’s largest but least-populated region. Do you have any foreign coins left over from a previous holiday or old British currency gathering dust? All those unwanted coins could go towards our life changing projects in the Negev. Please contact us to arrange collection. For many, the Blue Box is synonymous with childhood memories; seeing it in every classroom, in every shop, and in school where we gave charity every Friday. If you have any special memories, we would love to hear them, please contact us.